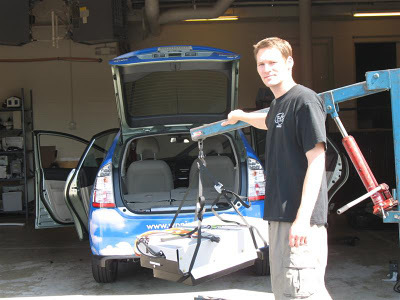 Pat Cadam and Nick Rothman of Pats Garage and Green Gears converted two vehicles to Plug-in Hybrid for Wisconsin Public Power Institute. WPPI is a large public utility that distributes power to other smaller utilities in the area. 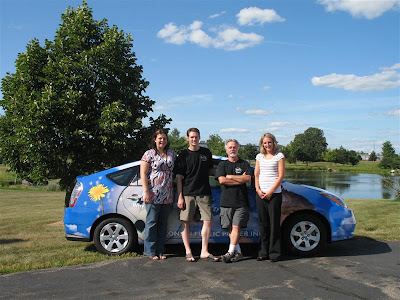 This picture is of Pat Cadam and Nick Rothman with Kelly and Anne Rodriguez of WPPI after the installation of one of the PHEV systems.